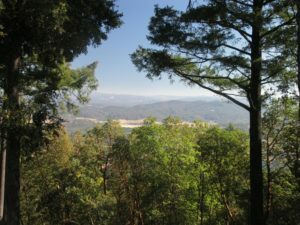 Lamborn Vineyards are located high on Howell Mountain on a “ridge peninsula” which overlooks Pope Valley to the east and on an extremely clear winter’s day one can even see parts of the Sierra Nevada mountains far in the distance (one of several locations on Howell Mountain and on Atlas Peak where one has such views). 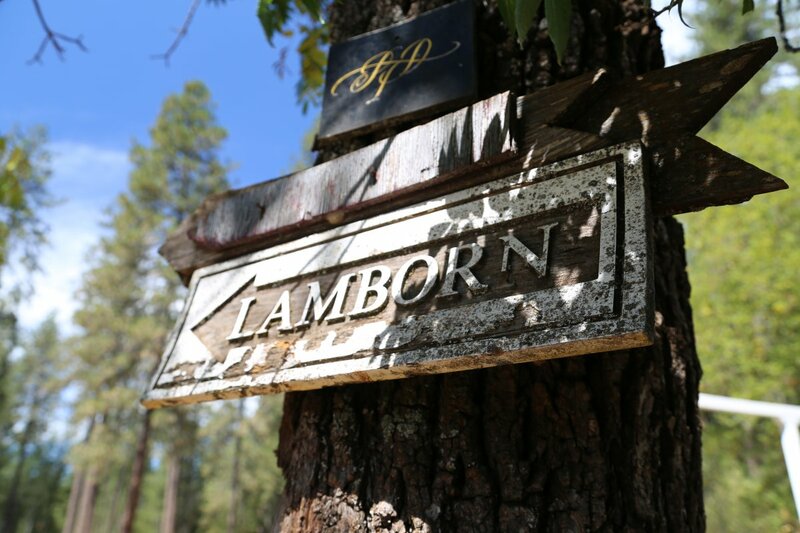 The Lamborn Vineyards story begins in 1969 when Bob purchased an acre of land from one of his friends who owned a weekend property on Howell Mountain. Two years later Bob and his son Mike purchased two separate plots of land for a total of 40 acres (14 of which were plantable). Neither one had any experience in the wine industry but Bob was looking for a change of pace from his job as a Private Investigator in the San Francisco area. And the wine industry would certainly be quite a change from Bob’s previous career; through his PI work, he worked with the FBI and the CIA. The most notorious case he worked on was when he was hired by Patty Hearst’s mother after her daughter was abducted by the Symbionese Liberation Army. 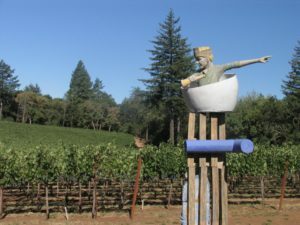 Existing vines had been planted on Bob’s property in the late 1800s by Italian immigrants and were still growing at the time of their purchase. Bob nursed these vines back to health as they had not been cared for since the beginning of prohibition. Howell Mountain was Napa’s first sub appellation – gaining it’s status in 1983 (same year as Carneros). Along with Bill Smith, Randy Dunn, Mike Beatty and Bob Brakesman, Bob Lamborn was one of the founding vintners who laid the groundwork in creating the Howell Mountain AVA. Bob’s original land is now home to Outpost Winery – located a short drive up Summit Lake Drive from Lamborn Vineyards. Mike and his wife Terry purchased the property for what is now Lamborn Vineyards in 1973. They have been farming this piece of land ever since they acquired the property – initially on weekends since Mike had a full time time at the time. 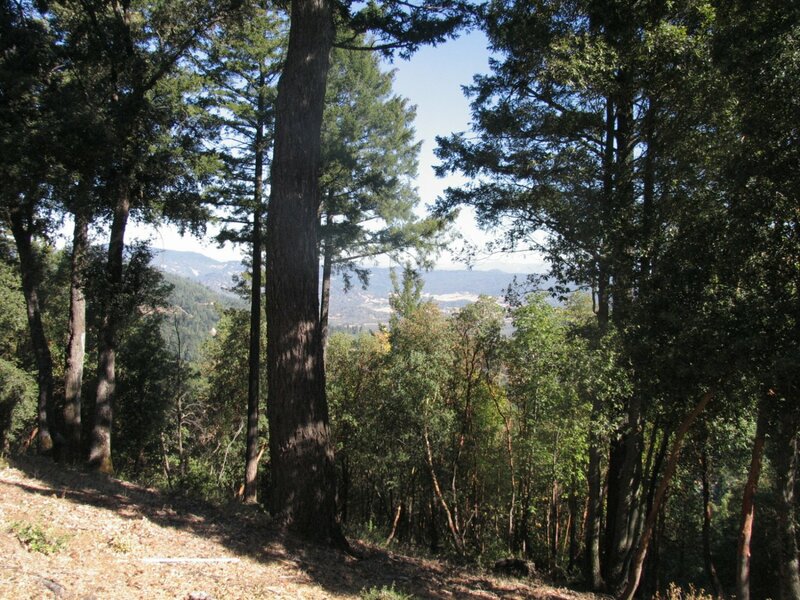 This very scenic location is reminiscent of some of the foothills in California’s Sierra Nevada, including the red soils and similar vegetation. The vineyard sits at 2,200 feet; this location is unique in that there is a 50 degree drop-off on three surrounding sides falling off dramatically over 1000 feet down to Pope Valley. Their property had never been planted to vines before; the Lamborn family spent several years clearing and planting the land (the first Zinfandel vines were planted in 1979) and released their first commercial vintage in 1982 with the help of renowned Howell Mountain wine doyen, Randy Dunn. Only 100 cases were produced this first year. Unfortunately disaster struck in the fall of 1991 when a massive firestorm destroyed Bob’s house in the Oakland hills. As a result of this, in 1991 Lamborn released an appropriately titled wine called the “Phoenix Vintage”. 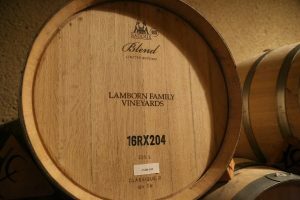 This vintage led to a trend among Lamborn’s wines – every vintage from that year on is now assigned a name, usually relating to a memorable event during the growing season. Also worth nothing are their “back label” stories; for general interest, all of these stories are available on their website. 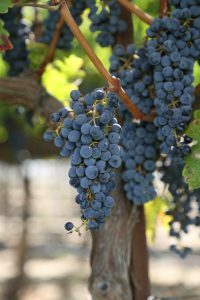 Production in the early years was minuscule and although it has grown a bit since – today Zinfandel is still their primary production (about 1000 cases) along with 500 cases of Cabernet Sauvignon and a small amount of Zinfandel rosè. The fruit is all estate grown on – predominately Zinfandel and Cabernet Sauvignon. 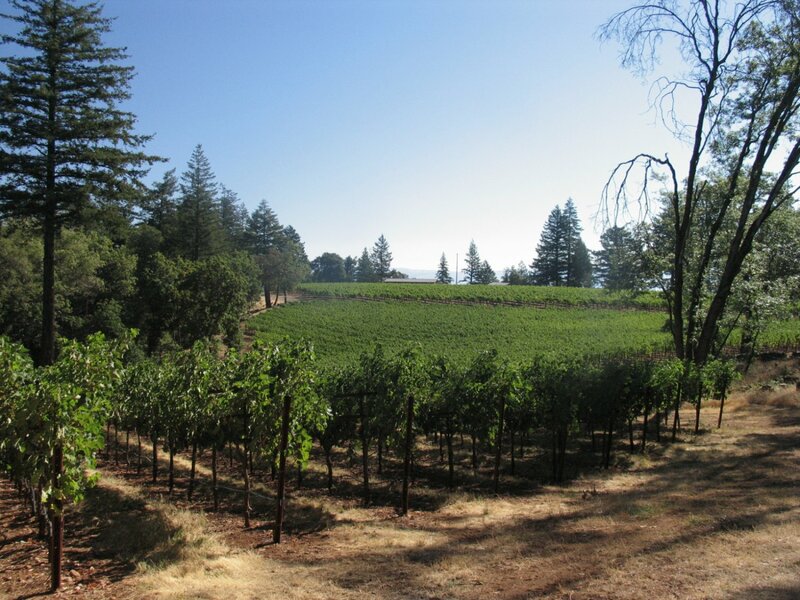 The 10-acre vineyard is farmed organically. 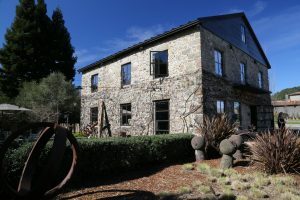 They have made their wines at several wineries over the years including at Napa Wine Co – as of our latest update to this review, they currently make their wine at a small winery just south of Calistoga on Highway 128. The vineyards are managed by Mike and Terry – they are farmers and spend hundreds of hours in the vineyards each year carefully managing the vines and grapes. We had the opportunity to walk the vineyards with Mike and his attention to detail is amazing. 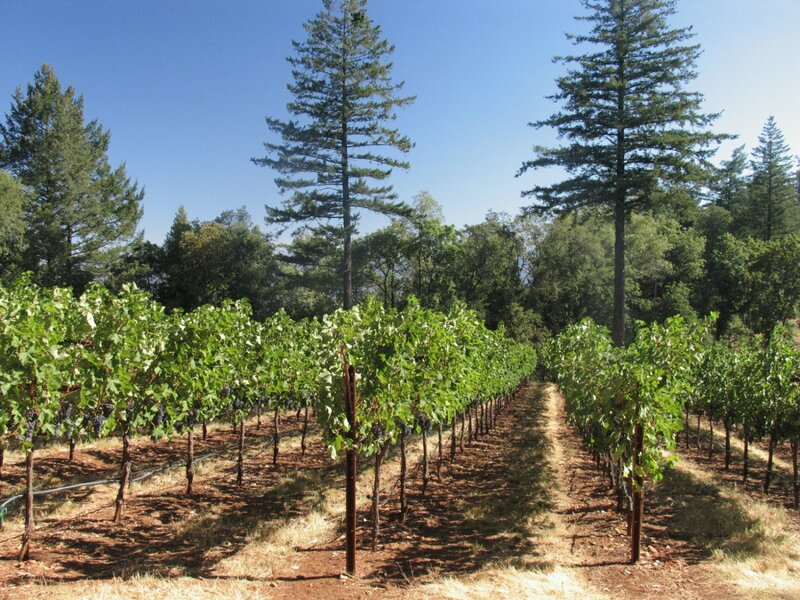 Each vine is handled on a case by case basis when it comes to crop thinning, dropping of fruit, pruning and suckering. Mike and Terry’s sons Matt and Brian (the third generation) are also actively involved in to the day to day operations. With the exception of their well-known winemaker Heidi Barrett, this is an entirely family run operation. Matt has a masters degree in landscape architecture and helps manage the vineyards as well as running his own mapping and data analysis company, Pacific GeoData. Brian has been involved for many years with marketing and sales. Perhaps the 4th generation will be involved sooner rather then later. Heidi has been making the Lamborn wines since 1997 (formerly at Screaming Eagle, Grace Family among many other premium wineries). The details and micro management that go in to the farming and caring for these grapes, plus Heidi’s considerable wine-making skills produce exceptional wines. The Lamborn Vineyards Cabernet Sauvignon is what you would expect of a premium hill-side hand crafted Napa Valley wine. It has power yet also grace. 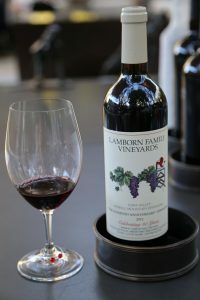 The 2005 Lamborn Vineyards Cabernet Sauvignon contains layer upon layer of fruit showing a slight dustiness towards the long finish. Remarkably smooth across most of the palate. Lamborn Family does not see visitors for tastings at their Howell Mountain property. For several years select wines from Lamborn Family Vineyards were available at Ma(i)sonry in Yountville (now the RH Wine Vault), a premium collection of boutique mostly Napa wines representing producers who typically do not have their own wineries or tasting rooms. Since the transition to RH Wine Vault a number of changes have been made including eliminating a number of wine producers that used to be represented here (as of our latest update, some Lamborn wines may still be available here but no new vintages are being added to their list). The Lamborns are some of the most hospitable people you will meet and it doesn’t hurt either, that their wine is stellar! As a result if you meet them for a tasting at RH Wine Vault, the experience is very personalized and tailored towards your interest and knowledge level. Regardless of whether the Lamborns meet you for a tasting – RH Wine Vault will create a highly personalized tasting during your visit – opening up several wines and possibly an older vintage (if available). Tasting here is either indoors (a wine tasting space + art gallery) or outdoors in their garden space behind the old stone building.